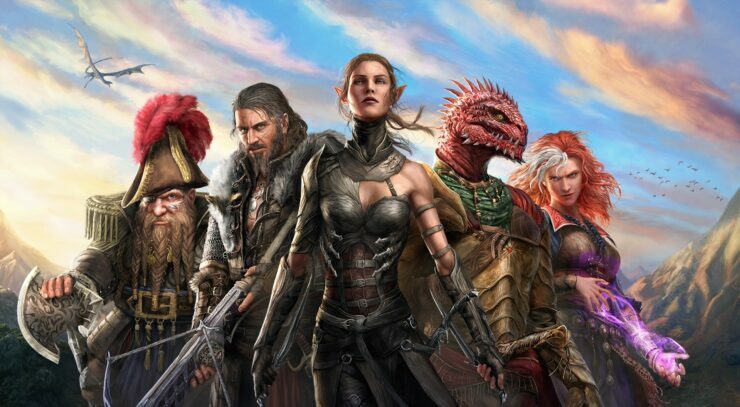 Last week Larian Studios revealed that Divinity: Original Sin 2 would launch on PlayStation 4 and Xbox One this August. Number one was the journal, so we redid the whole journal system. Number two was still the inventory, so we now have I think probably the best inventory system we’ve had so far. It works really well, it’s very clear and much faster actually than the previous things we did, so I think people are going to like it. We are also working on the content. There are things that we’re doing we haven’t announced yet so I can’t talk about it just yet, but we are making content changes where we thought it was necessary; there were parts that were not as good as the rest of the game, so we’re fixing those. And there will be a few other things that we’re adding. Larian then expanded on that in the latest Kickstarter update. Your feedback has always been invaluable to us, and we’re still listening! Its safe to say that your number one request in Divinity: Original Sin 2 was for a better journal, so we’ve been hard at work on just that. Our new and improved journal still won’t hold you by the hand, but it will be a more direct and useful tool. We’ve shortened the text to make it clear what you are supposed to do. We’ve split multiple paths within the same quest into subdivisions. When the journal gives you map markers, you can now jump straight from that journal entry to the specific marker on the map screen. The second biggest request we’ve received is for better inventory management. While we began by looking for ways to tweak the system, we ultimately decided the best idea was to redo it from the ground up. You’ll soon be able to see your whole party’s inventory at-a-glance, and we’ve also added multi-selecting. This will make it easier to bulk-select items to add to your wares or hand over to your teammates.